Schoko was my true love and at that time one of the very rare liver coloured Flat Coated Retrievers in Austria. 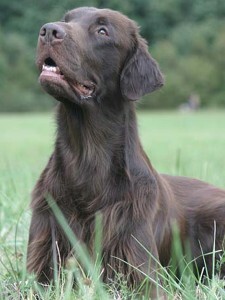 He also was bred by Yvonne Jaussi and excelled expecially by his exceptional „will to please“ and his hunting passion. 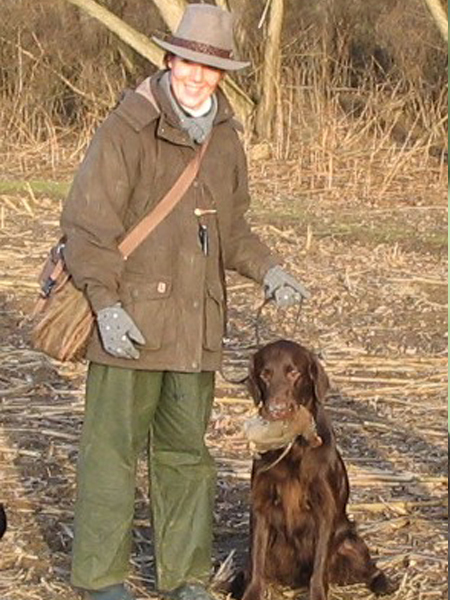 He was the reason why I passed my hunting license in 2007 but sadly he could not see my first active hunting season any more. He should have been Walters dog because it was Walter who picked him at Yvonnes Kennel together with our dear friend Elfriede Wilfinger. And it was Schoko who picked me as soon as we first met: it was love at first sight and he remained MY DOG. I loved him with all my heart and still do. Only a few days after he had been diagnosed with cancer we had to let him go at the age of just 7. As many times before he fell asleep in my arms for the last time. 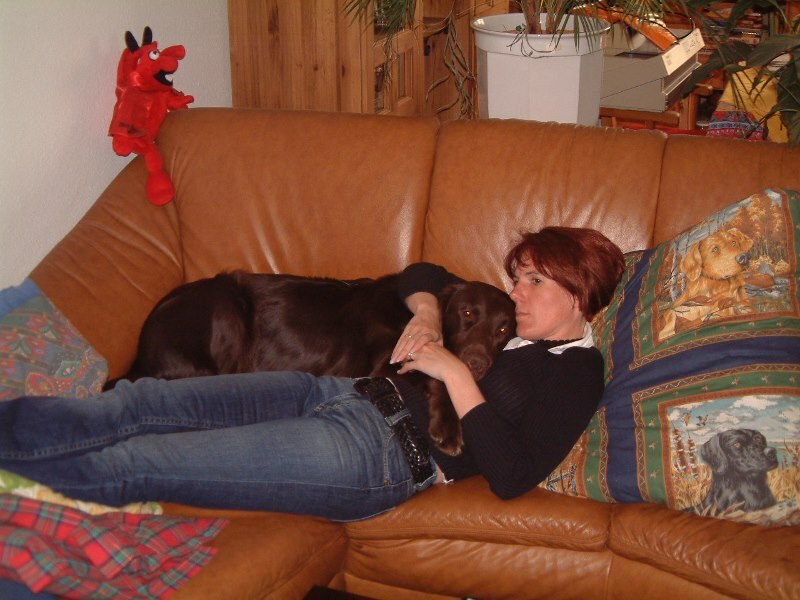 Schoko, my dearest boy, words can not express what you gave to me during the short time we had together. Still missing you badly every day.